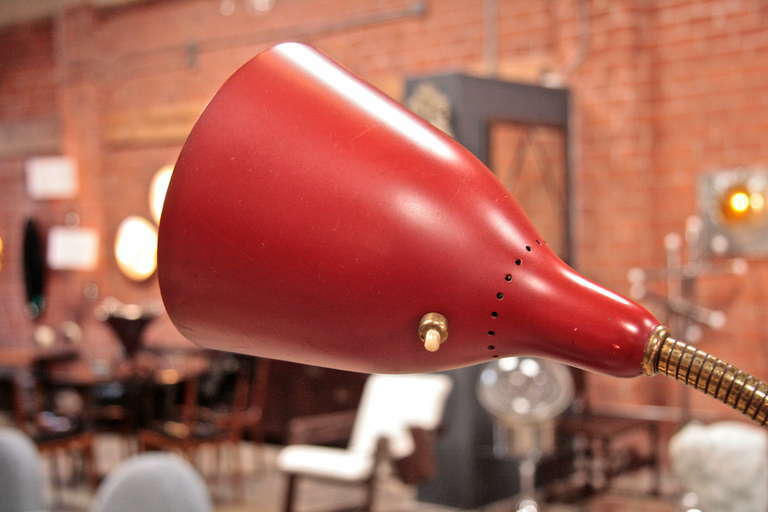 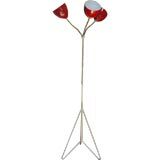 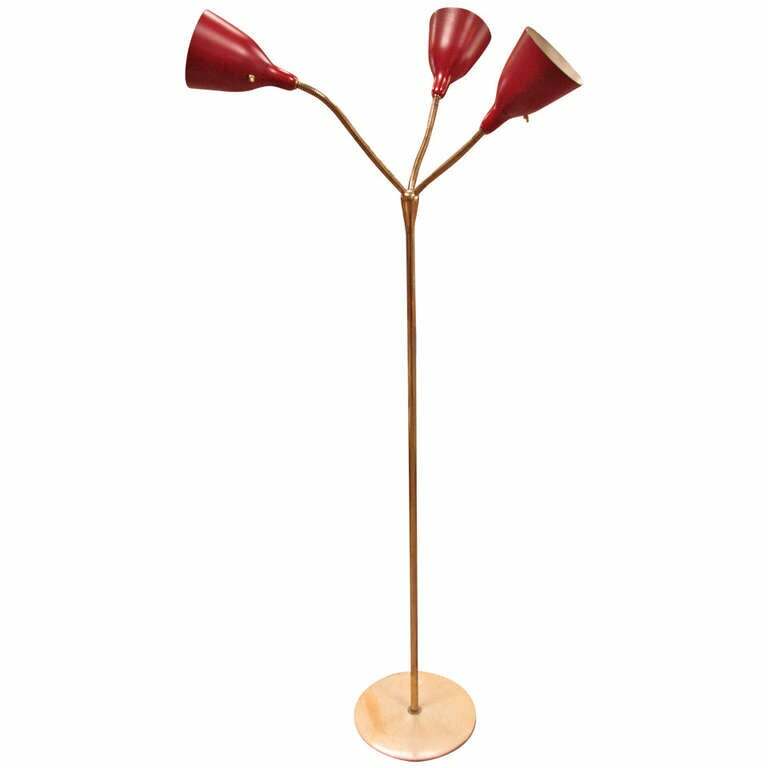 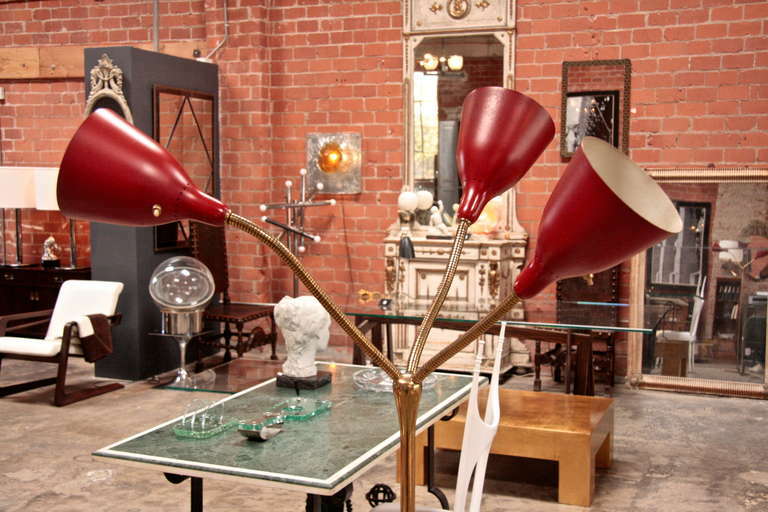 Italian 50's Floor Light By: Guiseppe Ostuni with 3 Red Shades and Round Marble Base. 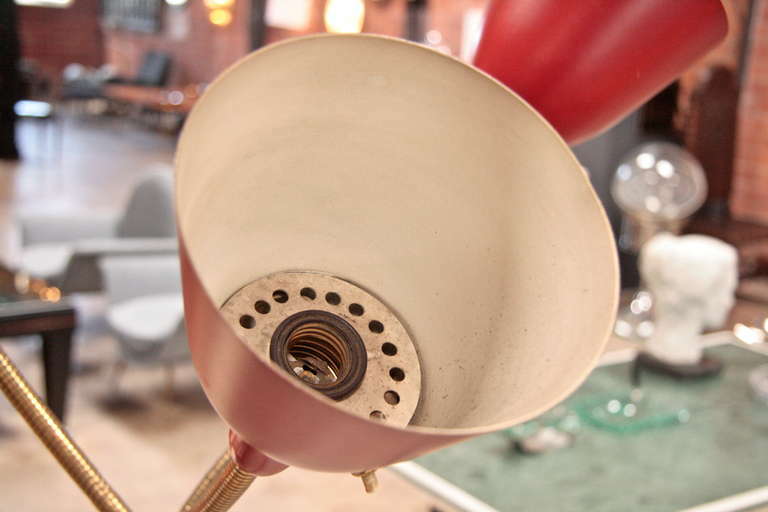 A little light here; a little light there goes a long way. 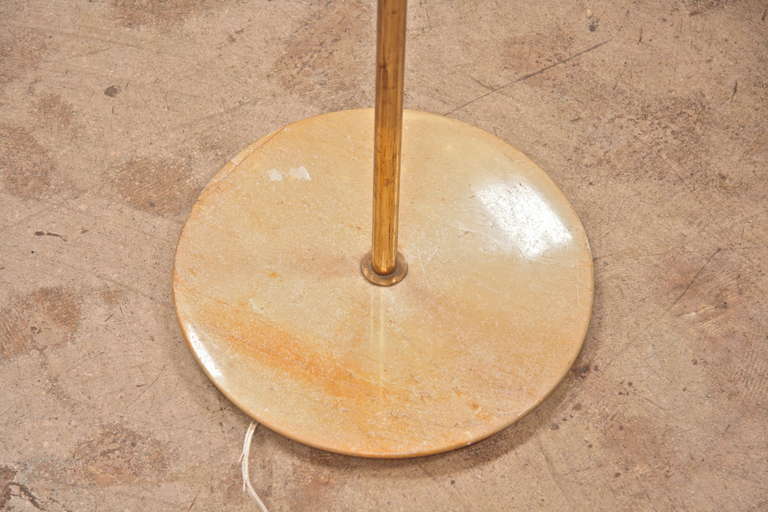 Marble base brass floor light to light up your life. 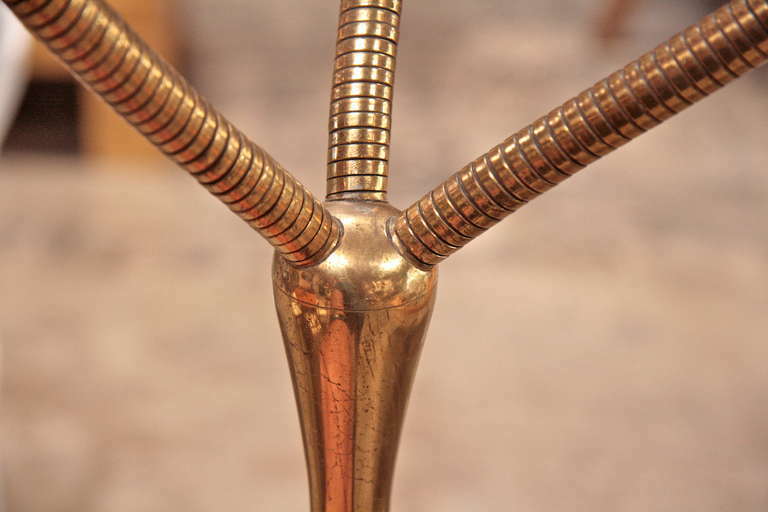 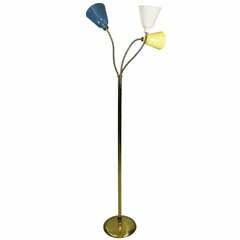 Italian, 1950s adjustable brass three lights floor lamp. 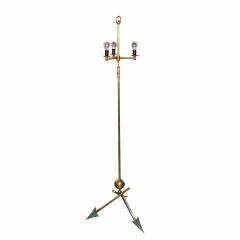 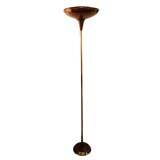 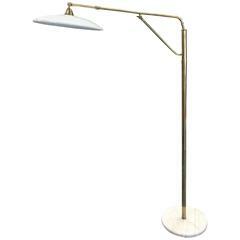 Italian floor lamp in style of Stilnovo .Metal base with the wood and brass and brass and ceramic bulb socket. 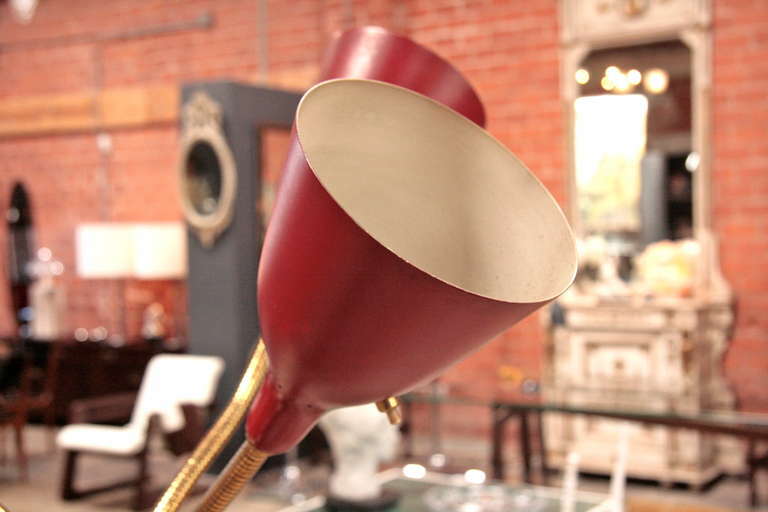 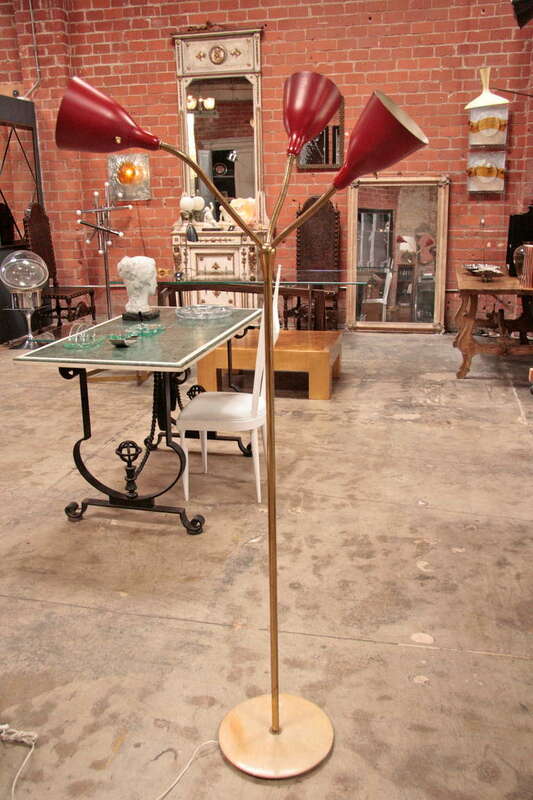 1950's Painted white and red Italian floor lamp with brass details. 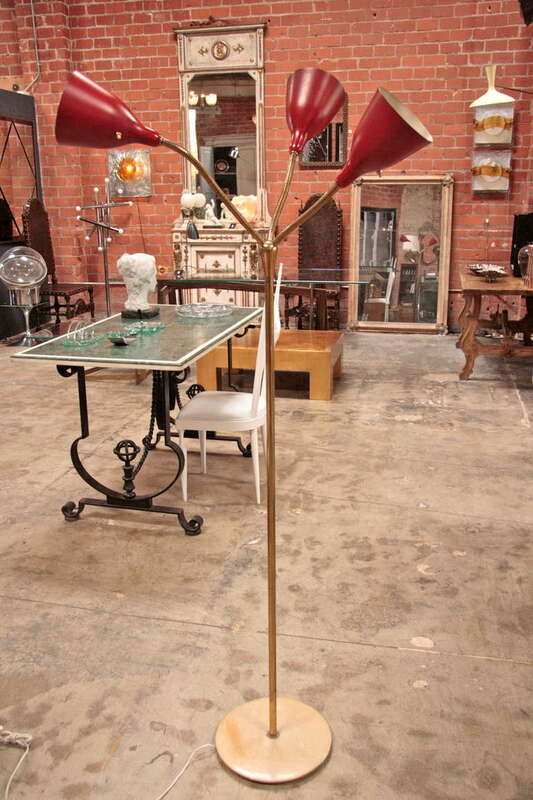 1950s Italian brass and painted tall floor lamp. 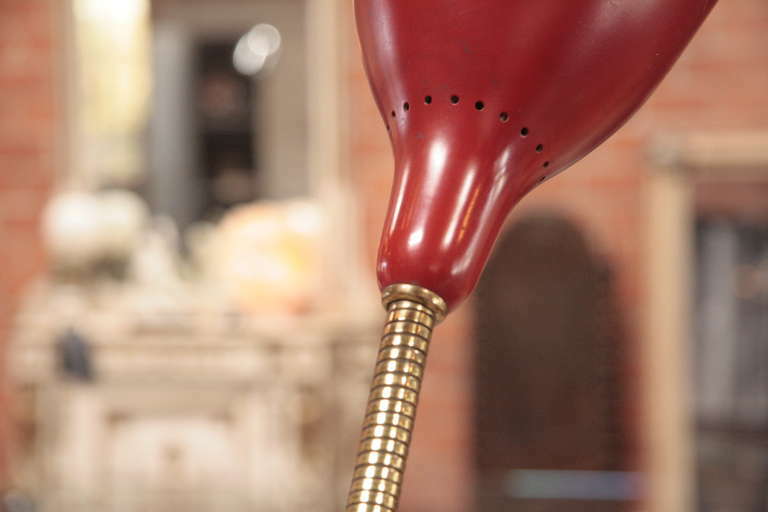 Finish original.